Welcome to the site rules page of Cat-Lovers-Gifts-Guide.com. Here you'll find a set of guidelines and policies that govern this website. Please read these site rules carefully and thank you for stopping by. Modifications to these site rules shall become effective immediately upon being posted at Cat-Lovers-Gifts-Guide.com. Your continued use of this website after amendments are posted constitutes an acknowledgment and acceptance of the Agreement and its modifications. The website is provided on an “as is” and on an “as available” basis. To the fullest extent permitted by applicable law, Cat-Lovers-Gifts-Guide.com makes no representations or warranties of any kind, expressed or implied, regarding the use or the results of this website in terms of its correctness, accuracy, reliability, or otherwise. Cat-Lovers-Gifts-Guide.com shall have no liability for any interruptions in the use of this website. IMPORTANT: This website does not provide any professional advice. If your cat is injured, then you must seek professional help. Our website may include links to other websites on the Internet that are owned and operated by online merchants and other third parties. You acknowledge that we are not responsible for the availability of, or the content located on or through, any third-party website. You should contact the website administrator or webmaster for those third-party websites if you have any concerns regarding such links or the content located on such websites. Product specifications and other information have either been provided by the Vendors or collected from publicly available sources. While Cat-Lovers-Gifts-Guide.com makes every effort to ensure that the information on this website is accurate, we can make no representations or warranties as to the accuracy or reliability of any information provided on this website. Cat-Lovers-Gifts-Guide.com shall not be liable for any damages whatsoever, and in particular Cat-Lovers-Gifts-Guide.com shall not be liable for any special, indirect, consequential, or incidental damages, or damages for lost profits, loss of revenue, or loss of use, arising out of or related to this website or the information contained in it, whether such damages arise in contract, negligence, tort, under statute, in equity, at law, or otherwise, even if Cat-Lovers-Gifts-Guide.com has been advised of the possibility of such damages. All original material, except where otherwise identified, copyright © 2005-2011 cat-lovers-gifts-guide.com. All rights reserved. All content and graphics on this site are protected by US copyright laws and international conventions, and may not be copied or reproduced without the express written permission of the copyright owner. Reproduction for commercial purposes is strictly prohibited. You may link to this site without our permission. However, if you wish to use copyrighted material from our site on your own site or blog, you should contact us for permission, which may be given, subject to conditions including, but not limited to, proper attribution, and a live link to the site wherever possible. Permission is given for the downloading and temporary storage of one or more of these pages for the purpose of viewing on a personal computer. 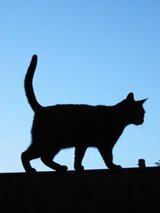 As already mentioned, the contents of this site are protected by copyright under international treaties and, apart from the permission stated, the reproduction, permanent storage, or retransmission of the contents of this site is prohibited without the prior written consent of cat-lovers-gifts-guide.com. All trademarks and registered trademarks, whether or not they are identified as such, are acknowledged to be the property of their respective owners. The use of a trademark does not suggest that such use has been granted, endorsed or sponsored by the trademark owner(s). If you submit your original artwork to us to be displayed on this website, you agree that we have the non-exclusive right, but not the obligation, to display your piece(s) in whole or in part, as we deem appropriate. We will give you proper credit, including your name, the title of the piece and an appropriate description, without further reward (financial or otherwise) to you. You declare that you are the original artist, and agree to indemnify us against any claim of copyright infringement that may arise in connection with the use of your artwork on this website. If you no longer want us to display your artwork, let us know in writing and we'll immediately remove it from our site. Thank you for reading cat-lovers-gifts-guide.com site rules.